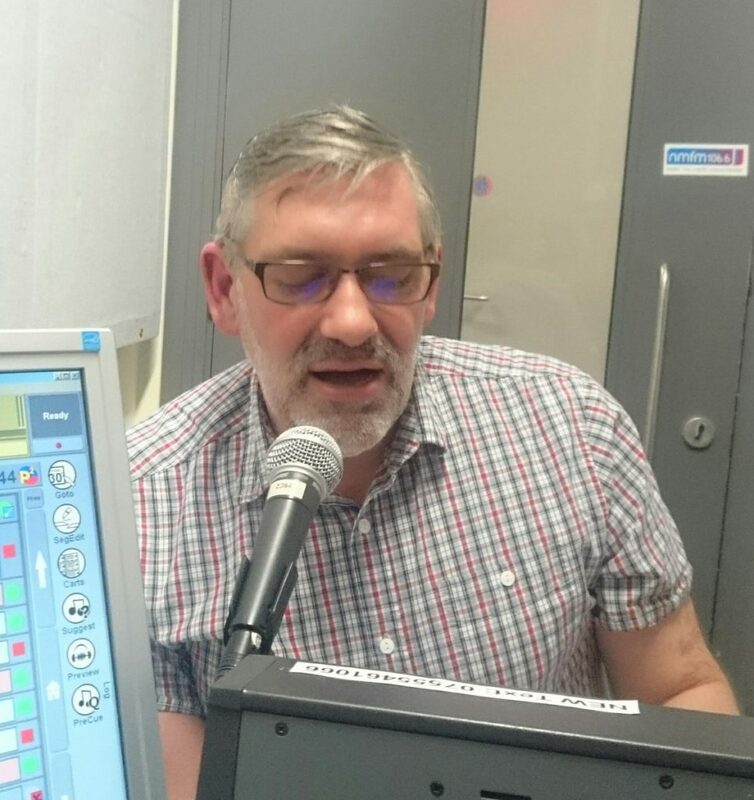 I was delighted to be invited by Eileen Earnshaw (top Rochdale Poet, cooperator, leader of writing and reading groups, student of creative writing and of course mother and grandmother) to be the guest on her very first “Weaving Words Poetry Radio Show” recorded and broadcast yesterday on Defiant Radio, Rochdale’s newest and fast growing radio station. Eileen opened by asking about the role cycling had played in my past and recent work on the Connect2Poetry project leading into a discussion of what it is to be a poet. We also talked about forthcoming events especially the Fringe event for the Rochdale Literature and Ideas Festival which will take place from 11.00am to 3.00pm on Sunday 22nd October, at which I will deliver a poetry set alongside other local poets and performers including music from Between the Vines. Eileen played music from Bob Dylan, John Mellencamp, Bruce Springsteen, Johnny Cash and of course a tune from Tom Petty who had sadly passed away the previous night. If you are looking for an insight into how a radio show like this is recorded you can hear some of the conversation accidentally recorded on an open microphone whilst John Mellencamp’s Pink Houses was playing – but for her ever radio first show I was very impressed with my host. 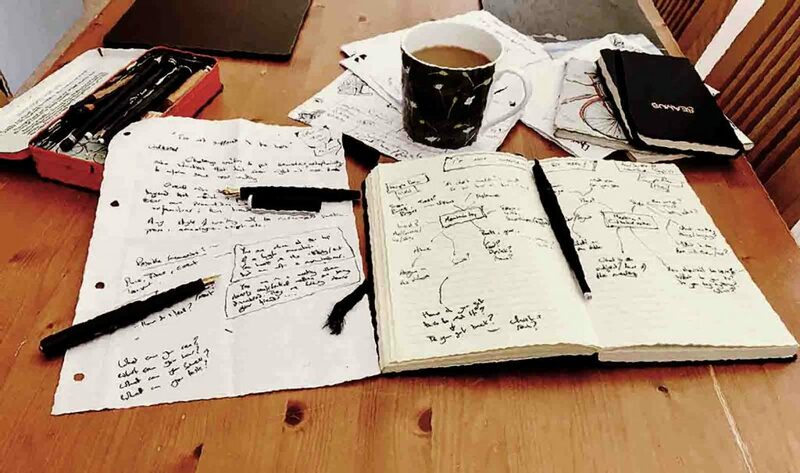 With just one week to go to this event here’s a picture of my temporary workspace as I produce some new writing using the same prompts and processes we’ll be using in the workshop. Its a bit early to be sure, as titles for me tend to come at the end of the writing process, but I think this one might end up being titled “A short walk”, Remember the Touchstones Creative Writing Group meet on the first Thursday of each month the with a different facilitator each time ensuring a wide range of workshops and activities. The session is open to all and new members are always welcome. On Thursday 7th SeptemberI’ll be at Touchstones to deliver my brand new workshop entitled “I’m not supposed to be here” for the Touchstones Creative Writing Group. In technical terms the overall aim is to encourage writers to go beyond their own personal experience and bring their personalities and skills to bear on unfamiliar places, situations and times, thus broadening the range of their writing. 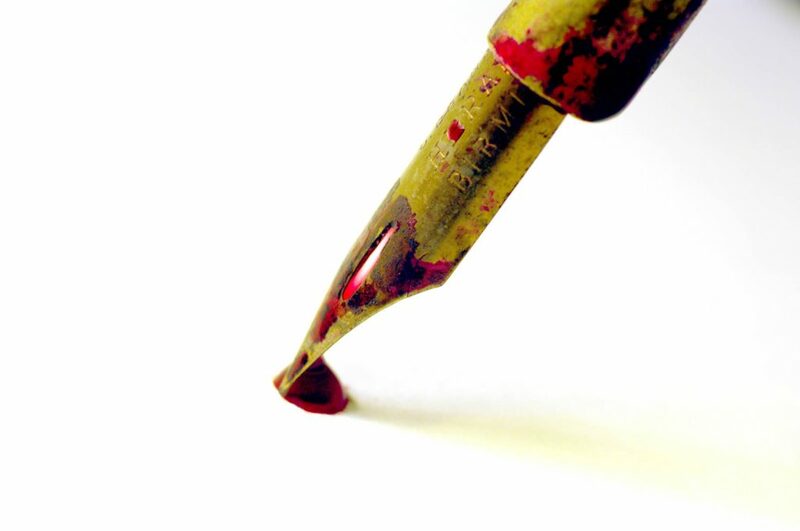 The Touchstones Creative Writing Group has a strong group of writers across all genres including poetry, prose, monologues and scripts as well as new and aspirational writers looking to develop their skills. 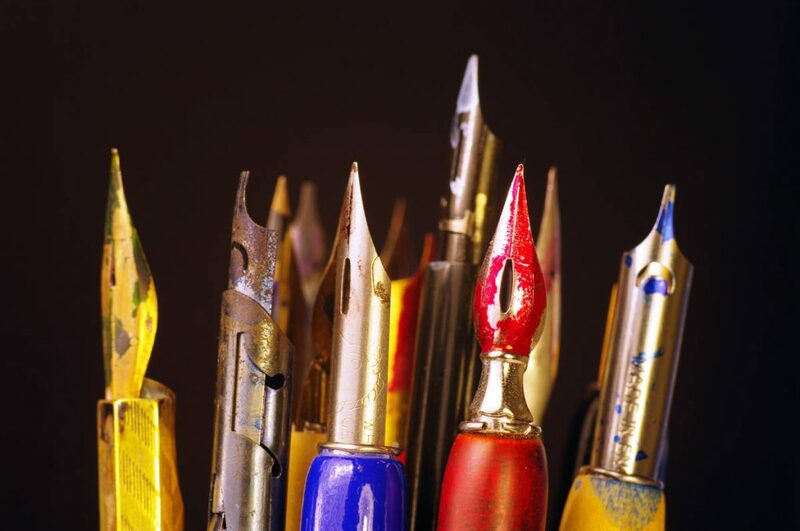 This workshop is designed to support both new and experienced writers across all genres and is open to members and prospective members of the group. “I’m not supposed to be here”- Touchstones, Rochdale, 2.00pm, 7th September – I’m definitely supposed to be there so why not come along and join in the fun. The Art Café in Touchstones will be open so why not pop along for a brew and a chat before the session? You’ll probably find me there eating their handmade cakes! 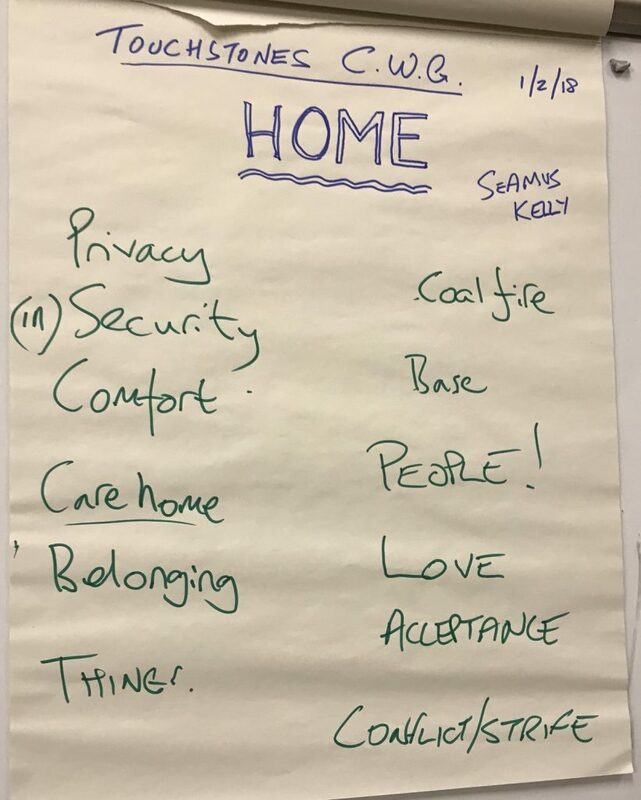 If you’d like to talk about booking one of my workshops for your own group or organisation please email me at info@seamuskellypoetry.co.uk. Details of my other workshops can be found by clicking here. The weather often plays an important role in outdoor festivals and this vintage cycling festival is no exception; following last year’s event on waterlogged site this year the unusually hot and dry weather meant there would be plenty of people queuing in the shade of the beer tents for liquid refreshments ad a break from the searing sun. 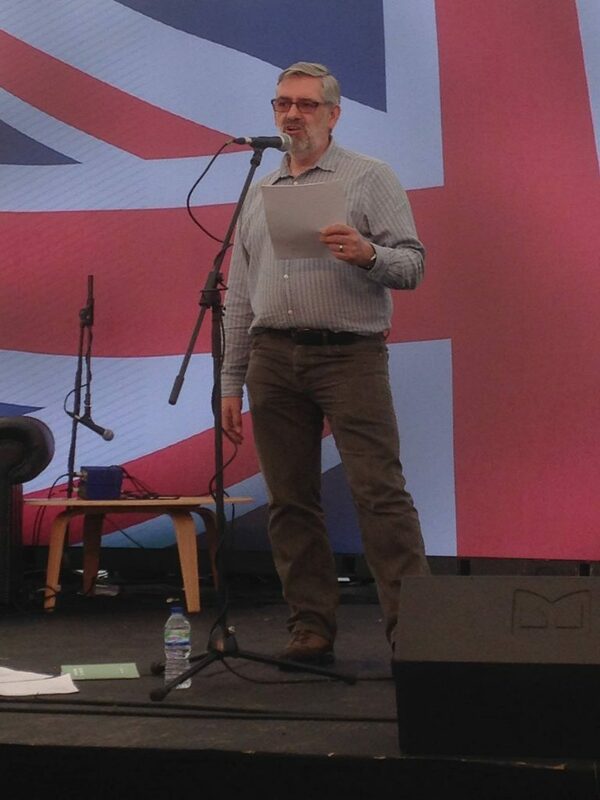 I was proud to be back at Eroica for the third year and sharing live poetry and spoken word to new audiences away from the traditional libraries and back rooms of pubs. 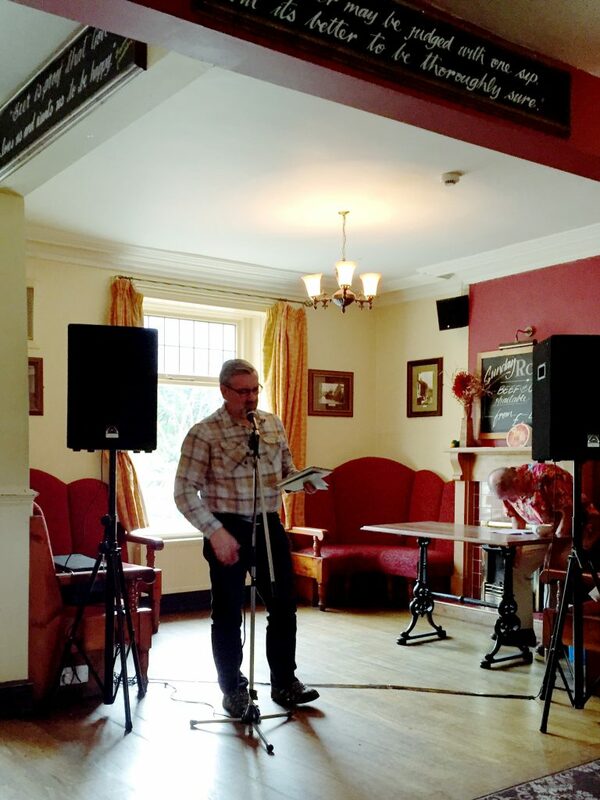 Poetry is becoming more mainstream and my 2.00pm set was staged in the Britannia Arms, temporary pub for the weekend, and the place was packed and noisy; fortunately there was a good sound system and my voice carries well. 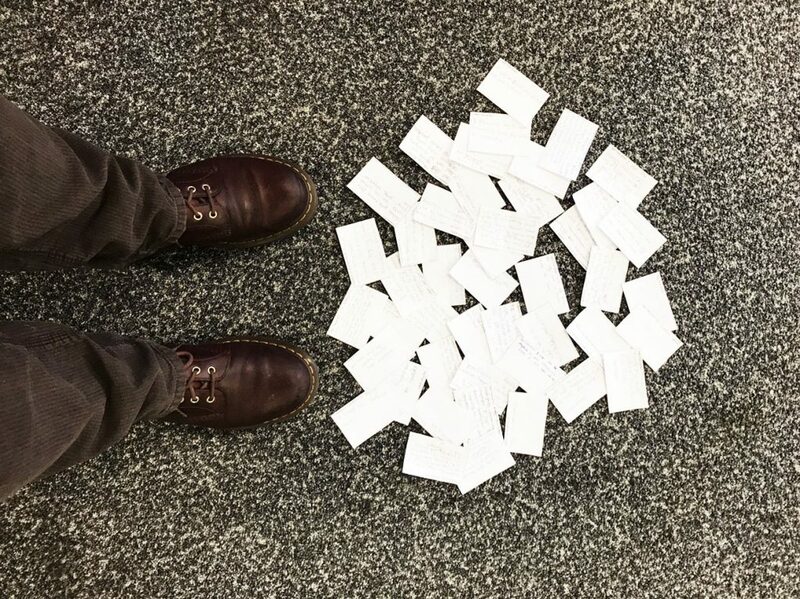 As always I had my set list prepared in advance and also as always I had additional material to hand so that changes could be made depending on the mood of the room or indeed my own mood. The Curse, Standby, A minute and a half, Entitlement, Truncated, Dead Eyes, Domestique, Saffron Vultures, Seahorses, Mental Stuttering, A platform I don’t know and Honed. 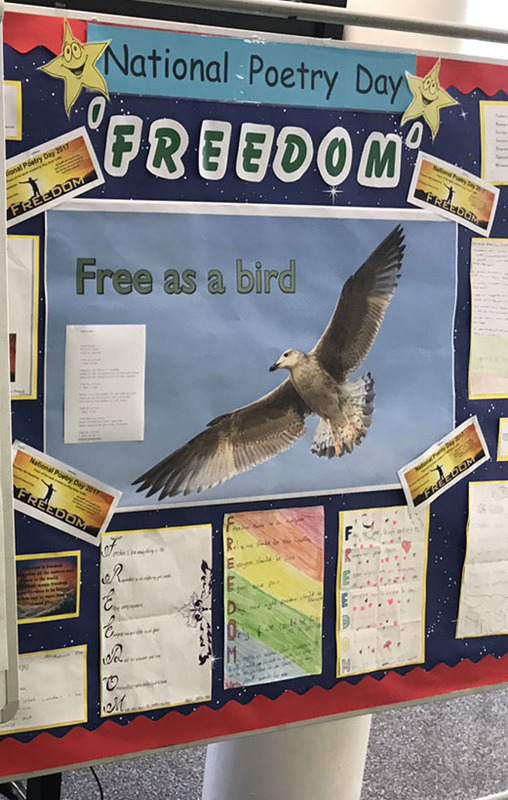 I was particularly pleased with the audience reaction to my new poem, written for and completed in time for this event, “Saffron Vultures” which is about cycle racing and in particular motor-paced racing at the Saffron Lane Stadium in Leicester which sadly closed some years ago. 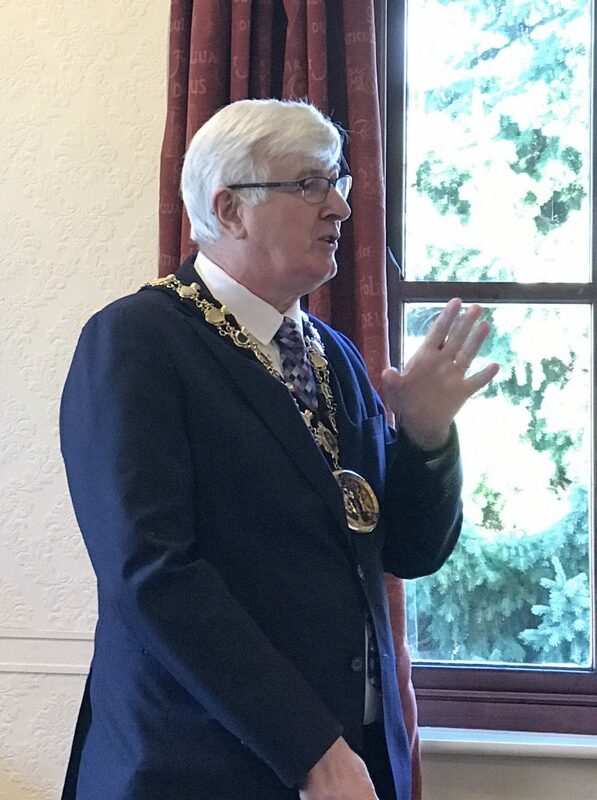 The poem is perhaps my longest at about 4.5 minutes so I had been concerned about holding the audience’s attention – fortunately I needn’t have worried. 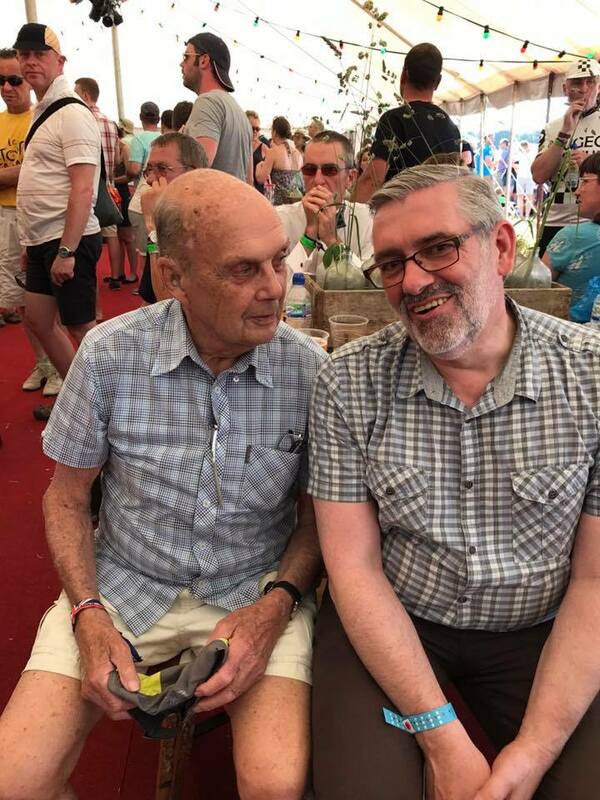 To cap a great afternoon I had the good fortune to sit and chat with an all time cycling legend, Brian Robinson (now aged 85) the first British cyclist to ever win a stage in the Tour de France amongst many other world class events. A brilliant day, although the sun could perhaps have been turned down a tad! In just a week’s time I’ll be stepping up to perform at Britains festival of cycling and all things vintage, Eroica Britannia. The Festival runs from from Friday 16th to Sunday 18th of June 2017 and Frinden Grange in the Peak District and I’ll be performing at 2.00pm on Saturday. What has that Eroica Britannia festival got for me? Yeah but apart from the vintage bikes what has the Eroica Britannia festival got for me? Well what about the rides, and the vintage bike rides? Yeah the vintage bikes and the vintage bike rides obviously, but what has the Eroica Britannia festival got for me? Yeah, yeah, the vintage bikes and the rides and the stunning Peak District scenery, but what has the Eroica Britannia festival got for me? Yeah, OK the vintage bikes, the rides, the stunning Peak District scenery and the music, but what has the Eroica Britannia festival got for me? And all the activities for kids? 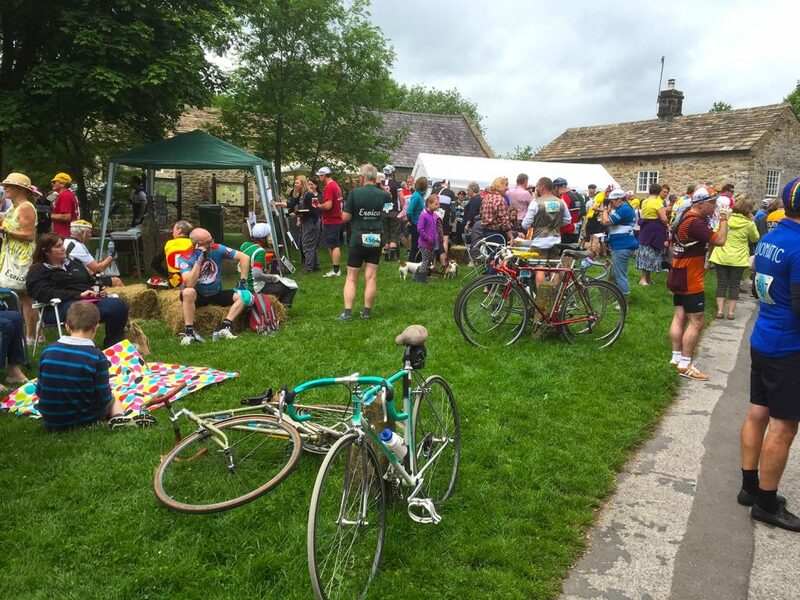 Yeah the vintage bikes, the rides, the stunning Peak District scenery, the music, the vintage outfits and all the activities for the kids, but what has the Eroica Britannia festival got for me? And the amazing range of food and drink? And the best in show? Yeah, that goes without saying; the vintage bikes, the rides, the stunning Peak District scenery, the music, the vintage outfits, all the activities for the kids, the shopping, the amazing food and drink, the roaming entertainers and the best in show, but what has the Eroica Britannia festival got for me? And the mini velodrome, the Lancaster Bomber fly past, and the camping and glamping? Yeah, the vintage bikes, the rides, the stunning Peak District scenery, the music, the vintage outfits, all the activities for the kids, the shopping, the amazing food and drink, the roaming entertainers and the best in show, the mini velodrome, the Lancaster Bomber fly past, and the camping and glamping, but what has the Eroica Britannia festival got for me? And the bloke doing poetry? What? There’s a bloke doing poetry? at a vintage cycling festival? Well why didn’t you tell me? What’s he doing? So this Eroica Britannia festival has the vintage bikes, the rides, the stunning Peak District scenery, the music, the vintage outfits, the shopping, the amazing food and drink, the roaming entertainers and the best in show, the mini velodrome, the Lancaster Bomber fly past, the camping and glamping, and the bloke doing poetry about people and places and bikes and stuff. You know what I think I might give it a go…. First impressions: I was met at the door by a very helpful staff member who asked me whether I was a guest or audience member, checked my name and politely directed me to the bar where the event organiser would be. A good start and credit to the venue. As I walked into the bar Sarah Pritchard the organiser introduced herself and introduced those who were already present including her co-host Mo and my fellow guest Laura Taylor. I’ve seen Laura perform some time ago but not met her for a while. Although I arrived on my own in a location where I knew nobody I never felt alone – this was certainly one of the most welcoming events I’ve attended. Once the poetry started the two co-hosts each read a couple of pieces before Laura delivered her set including comments about how her poetic journey had developed and some truly excellent poems – body could fail to be moved by her first poem about a difficult childhood which is very cleverly written and very powerful. Laura has sometimes been seen as a punk poet, a protest poet or a political poet but tonight she showed real range and versatility as a poet. A number of open mic slots followed and although I din’t know most of the names other than Cynthia Buell Thomas and Joy France I was impressed by the work presented and thoroughly enjoyed listening. It was then time for my own guest slot and as I chatted about my own journey in poetry I read poems that seemed to fit including On the Edge, Seahorses and the short anti-war Truncated. After my set it was time for a break after which everyone, including the guests, was invited to read another poem before the evening ended with warm and sincerely meant applause and lots of chat between all of those present. It was also nice to meet and chat to Paul Neads of Flapjack Press. Nobody rushed off early which is a sign of a good night – thanks for having me as a guest poet and well done to the team! I started writing poetry as a result of working with college tutor, and now friend, Eileen Lee a good number of years ago. A year or two later through Rochdale library service and in particular Janice Brown, who helped us to set up a writing group based in the library, I found myself on stage for the first time for a National Poetry Day event. Developing as a poet involves reading and listening to other poets and in that regard Write Out Loud was the organisation that really got me up and running (CLICK HERE for website) and gave me the confidence to take my work to new platforms. 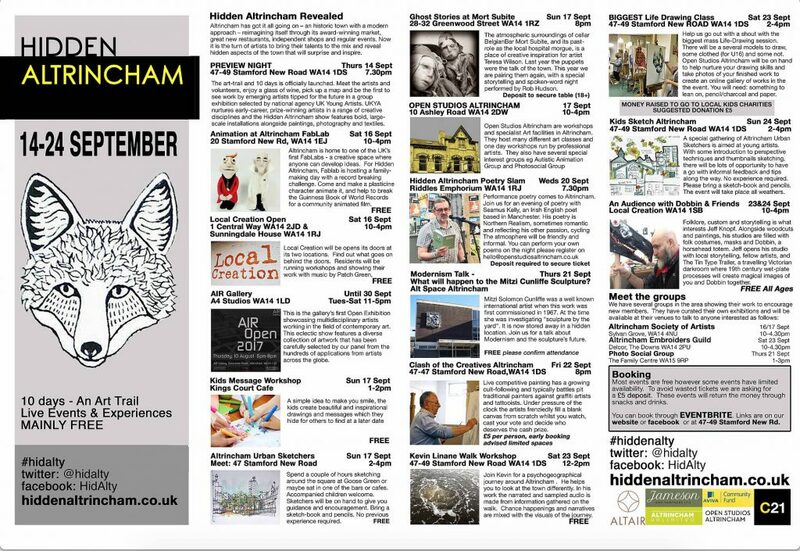 I have attended their events in Middleton, Bolton, Wigan and Marsden both reading my own work and listening to others. Founder Julian Jordan was always, and remains, very supportive and in the early days I was massively impressed by poets like Pete Crompton, Tony Walsh, Gemma Lees and Scott Devon. Seeing and hearing these poets made me want to take my own work further, to develop my own style as they had and to get out there and share the stuff that burns inside of me and has to be written. 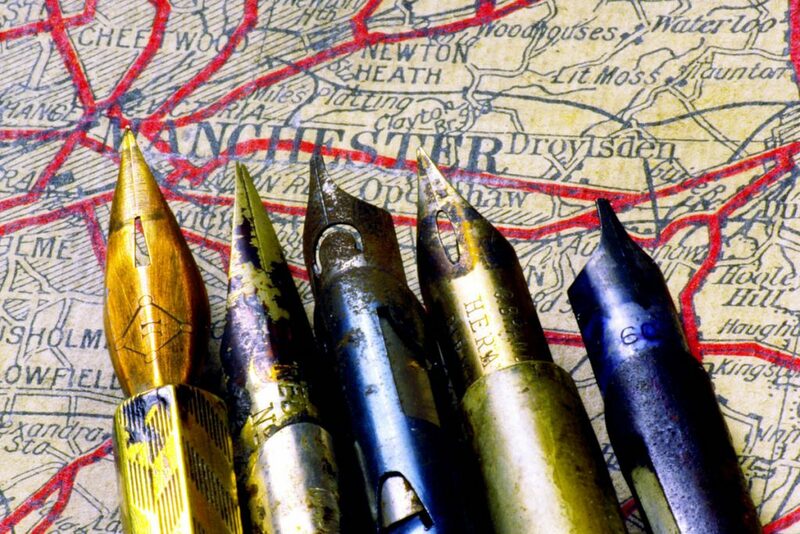 I am therefore really delighted to be a guest at Write Out Loud’s session in Sale on Tuesday 15th November. 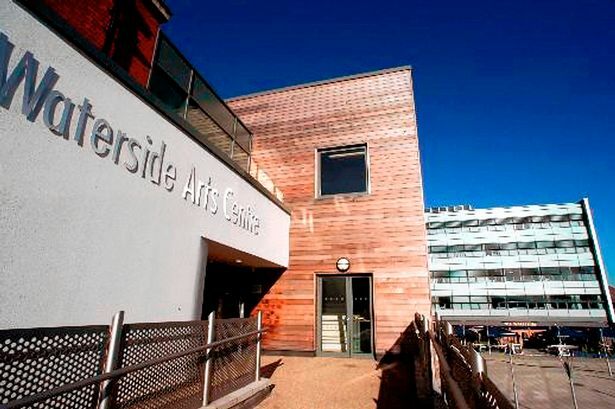 The recently relaunched event takes place at the Sale Waterside Arts Centre at 7.30pm and I’m looking forward to renewing old acquaintances and making new ones…. Over the last week or so I’ve been busily updating parts of my website to make it easier to find things quickly. One of main changes is this new “Examples, samples etc.” page where you can quickly access some of my work. 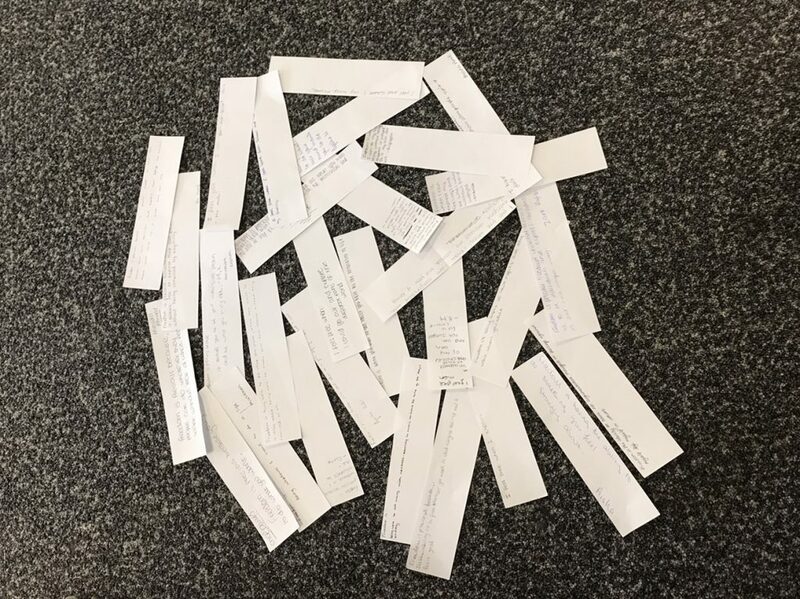 I’ve also been adding a few audio recordings of some of my poems taken from recent performances in Rochdale and Oldham and these have been included this new page along with written versions. 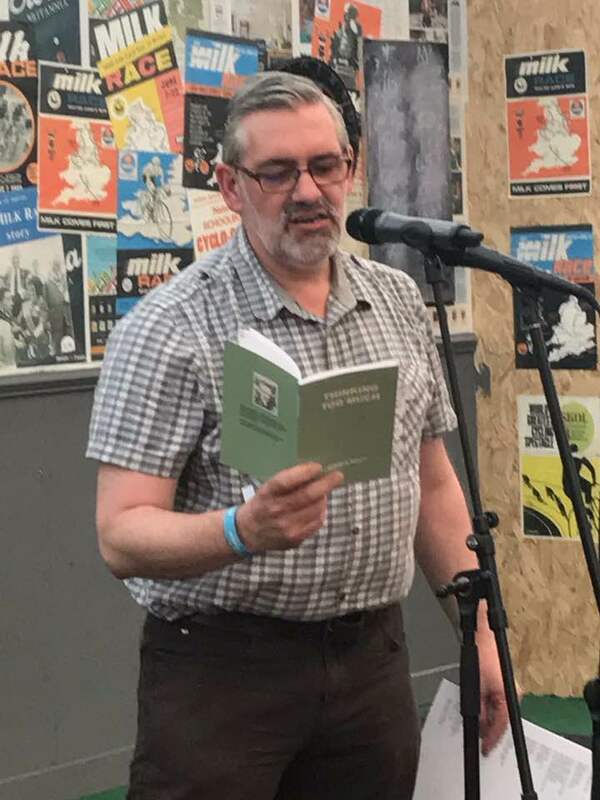 Other changes to the site include another new page “Events & appearances” where you can easily find out about where I am reading my poetry and running workshops, complete with links to recordings, reports and reviews from the events where available.